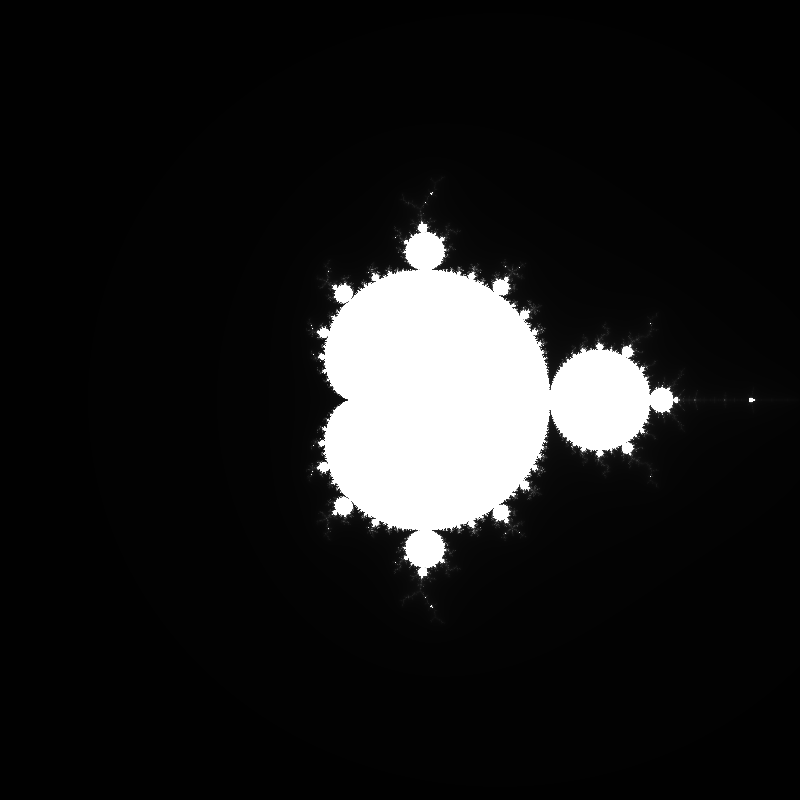 Fractal variations using Python | ad hocumentation • n. fast, instinctive documentation of ideas and solutions. Please excuse the lack of explanatory comments, but I’m trying to make the point that you don’t need many lines of code! The process of generating each pixel value in an image like the one above involves starting with a complex number determined by the position within the image (the image spans a rectangular region of the complex plane) and iterating a function recursively to generate a sequence of other points on the complex plane. The faster this iterative process “blows up” (by which I mean that the complex numbers get very large) the darker the pixel. Today, I was playing with this example and I decided to try to visualise something a little different – for each pixel, I repeated the iteration until the magnitude of the complex value passed a threshold (4 as it happens) then chose the pixel colour based on two things: the distance between the last two complex values and the difference in angle between them. I was thinking of this as “how fast the point is moving” and “how fast the point is revolving around the origin”. Neither of these descriptions are really completely appropriate for an iterative process like this which by definition moves in discrete steps, but that’s how I was thinking of it. This image shows the region of the complex plane where the real part is between -3 and +3 and the imaginary part is between -3j and +3j. 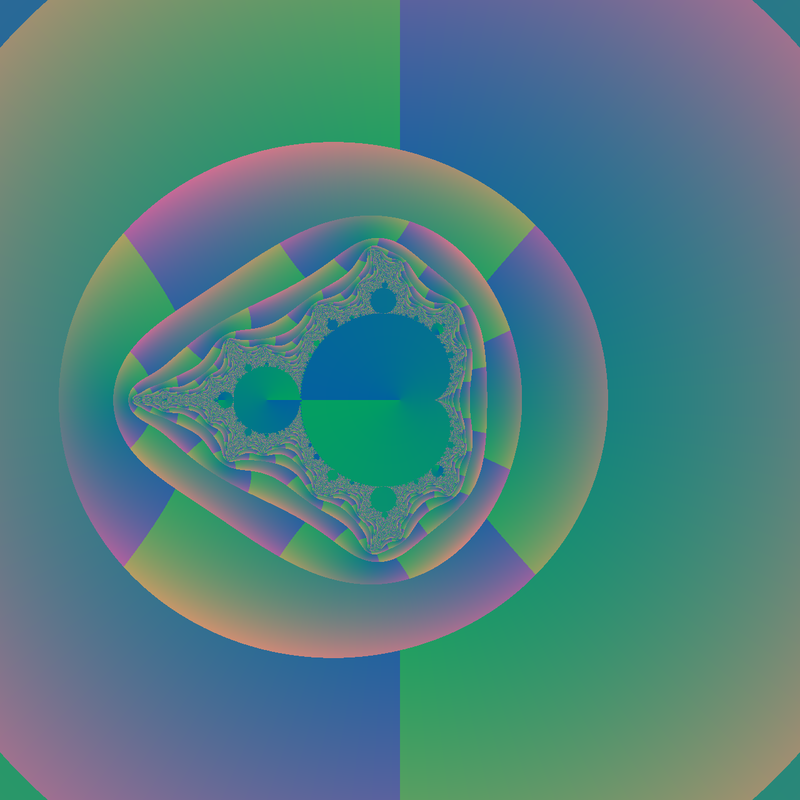 This image shows the region of the complex plane where the real part is between -1.5 and -1.25 and the imaginary part is between 0j and 0.25j.